Jason’s Arborcare Service, Inc. has now been serving Palm Beach County for 27 years. Our mission; “Just Be Better” We provide quality tree care service and strive to create higher expectations what tree service should be. At Jason’s Arborcare we prune with a purpose, we enjoy educating our customers about the care of trees. We have trained arborists as well as a full time office staff that can be reached when you need us (try our chat!). We are one of the few local firms to employ full time I.S.A. Certified Arborists. We have open lines of communication between the office and our field personnel. Our employees have back ground checks and carry identification, where uniforms with the company name presented on our shirts for your safety and security. We are firm believers in education. Our employees regularly attend training seminars, workshops and conferences throughout the year to learn the most recent research and techniques for our industry to improve their skills and knowledge as arborist. We also conduct weekly and monthly meetings to review job performance, safety issues, and management. Our fleet contains state of the art trucks and equipment to better serve you, and all of our equipment is well maintained and cleaned regularly. 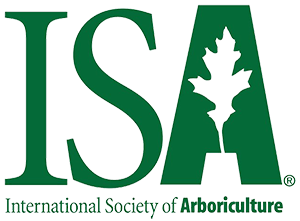 We are active members of the International Society of Arboriculture, Tree Care Industry Association formerly known as the “National Arborist Association”, Florida Urban Forestry Council, and the National Arbor Day Foundation. I started this business in 1991 with a truck, chainsaw, and a lot of faith. I grew up here and love working with trees and people. I look forward to working with you.